A healthy body temperature is maintained by the nervous system . As the body temperature increases, the body tries to maintain its normal temperature by transferring heat. Sweating and blood flow to the skin (thermoregulation) help us keep our bodies cool. A heat-related illness occurs when our bodies can no longer transfer enough heat to keep us cool. 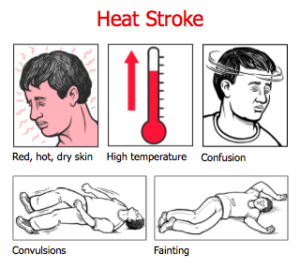 High temperature caused by a fever is different from a high body temperature caused by a heat-related illness. A fever is the body’s normal reaction to infection and other conditions, both minor and serious. 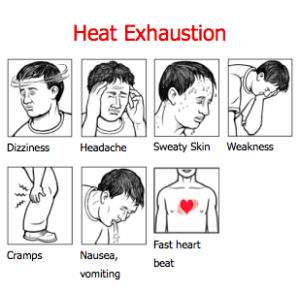 Heat-related illnesses produce a high body temperature because the body cannot transfer heat effectively or because external heat gain is excessive. Drink plenty of water before, during, and after you are active. This is very important when it’s hot out and when you do intense exercise. 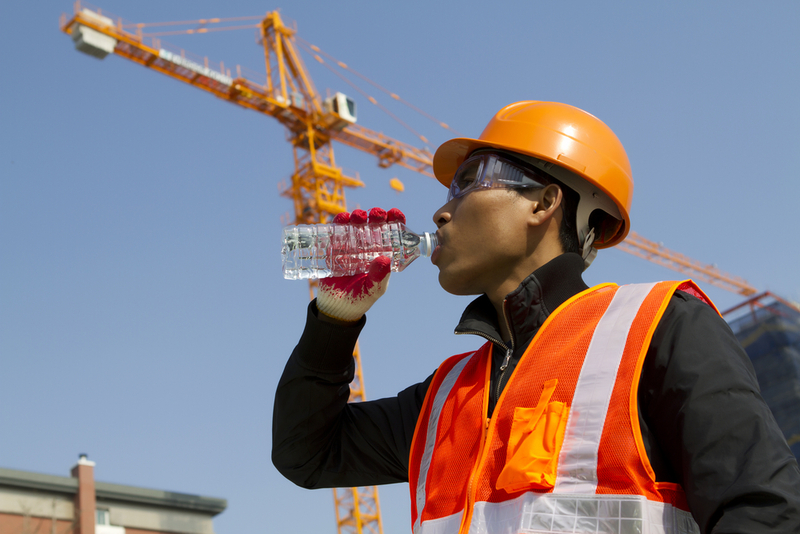 Fluids such as rehydration drinks, juices, or water help replace lost fluids, especially if you sweat a lot. Drink on schedule. Two hours before exercising, drink 24 fl oz (750 mL) of fluid. Drink 16 fl oz (500 mL) of fluid 15 minutes before exercising. Continue drinking 8 fl oz (250 mL) of fluid every 15 minutes while exercising.